Here’s some good news for people who keep wondering, “How to refinance auto loan?” Specialist help is now available right at your doorstep for getting your car refinanced to a lower interest rate. To get guidance from a qualified as well as experienced vehicle refinance expert in your local area, all you need to do is just fill and submit a quick online application form which hardly takes few minutes! How To Refinance Car Loans To Get Rid Of Your Costly Auto Loans? If you are currently locked in high interest car loan then it’s worth giving refinancing a try. Such a move might enable you to get access to significantly lower interest rate that is crucial for lowering monthly car payments drastically. Although the process may attract certain costs by way of closing or loan pre-payment charges and fees for transfer of car title, you could still be able to save lot of money over the long run with reduced monthly car instalments. CarLoanStudent can teach you how to refinance car loan to get rid of a costly unaffordable car loan online regardless of your credit status but first we help you to analyze whether refinancing is right for you. Take advantage of a free initial consultation to get started with your task! It could be possible to learn how to refinance an auto loan online. To that effect, you may take the below mentioned aspects into consideration first. Review the terms of your existing auto loan : Find out if your existing auto loan agreement allows you refinance your vehicle by reading fine print of contract signed with original lender. If yes, next contact your loan dealer to know how much amount of principal dues are still unpaid and that you at least $7,500 on your loan. Determine if your car qualifies : Most of the car refinance providers may not be willing to approve your auto refinancing loan application if your vehicle is more than 5 years old. If your car is new or less than 5 years old then determine its current market price by making use of Kelly Blue Book. Estimate how much a refinance will save you : Prior to approaching various loan dealers for getting free no obligation quotes, calculate the amount of money you can save by refinancing. To recover costs involved in securing a refinance car loan, your new interest rate must be at least 2 points lower than you are paying on existing loan. Apply for an auto refinance loan online : Once you are sure that refinancing can save you money every month, it could be now time to get free proposals. Accordingly, apply for free non-binding quotes with several different lenders and compare them in detail for identifying the right type of lender for your specific financial and credit circumstances. Review your paperwork and finalize your loan : After you have chosen a favourable car loan refinancing lender, you need to prepare the necessary paperwork by gathering income verification residential address documents as well as details of your car and its VIN number. Before finalizing a deal, negotiate interest rate and terms and go through fine print of agreement. Review your credit status by obtaining free annual copy of your credit report from all the major credit bureaus in country. Identify errors or mistakes on your credit record and get them removed before you apply for auto loan refinancing. You can search for an independent car loan company for exploring various options and comparing auto refinancing rates that are being currently offered in the market. Such companies can help borrowers to search the best quotes on the basis of personal details and credit scores. 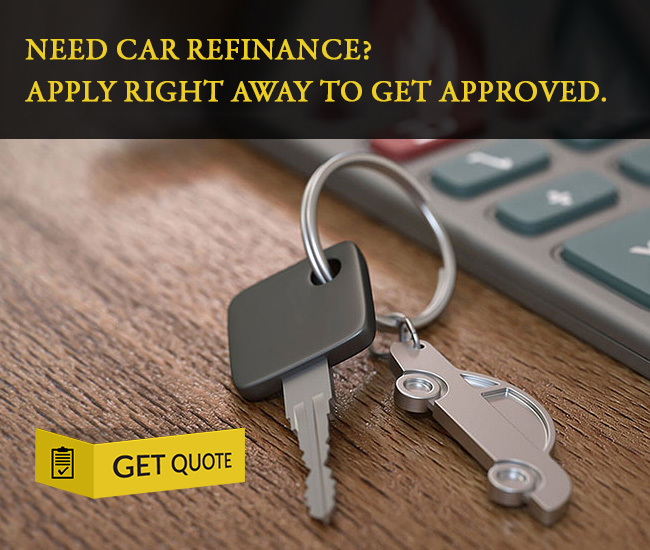 It could be better if you visit some reliable and reputable websites which have advanced online car refinance loan calculators for calculating the amount of money that can be saved by refinancing. This will give you to judge whether you are doing the right thing. If your credit had been bad at the time of financing your car then you need to make sure that you don’t miss any monthly payments for at least past 12 months. Once credit improves, you can get a better rate by paying down payment. If the APR on your existing auto loan is too high then you must attempt to get your car refinanced to a lower rate as soon as possible. This is because a lot of money will be spent on interests during the first two years of getting a car loan. To search car refinancing loans with lower interest rates and affordable monthly payments, it could advisable to seek help from a specialist auto loan service provider as such a proposition can enable you to locate lenders that have perfect understanding of your overall financial situation. If you have sufficient monthly income then one way of doing away with the present loan is to pay some extra money over and above the monthly instalment. By doing so, you will be able to repay the auto loan quickly. The process of car loan refinancing involves minimum paperwork which is contrary to what many people think. Besides, there is no requirement of any appraisal to be undertaken for determining the car value. You only need to compare proposals to see how much money can be saved.